Distributions of funds from a retirement plan are subject to withholding for federal and state income tax. The rate at which federal income tax is withheld depends on the type of retirement plan and the frequency of the distributions. Periodic distributions from a pension or annuity plan are subject to withholding using the same methods as wage income, by the use of withholding allowances to determine the level of tax to withhold. You inform the administrator of your retirement plan of your withholding allowances using Form W-4P. Persons can also choose not to have any tax withheld on periodic distributions by checking box 1 on Form W-4P. Unless you choose no withholding, your annuity or similar periodic payments (other than eligible rollover distributions) will be treated like wages for withholding purposes. Periodic payments are amounts paid at regular intervals (such as weekly, monthly, or yearly) for a period of time greater than one year (such as for 15 years or for life). You should give the payer a completed withholding certificate (Form W-4P or a similar form provided by the payer). If you do not, tax will be withheld as if you were married and claiming three withholding allowances. Unless you choose no withholding, the withholding rate for a nonperiodic distribution (a payment other than a periodic payment) that is not an eligible rollover distribution is 10% of the distribution. You can also ask the payer to withhold an additional amount using Form W-4P. Federal income tax is withheld from distributions from traditional IRAs unless you choose not to have tax withheld. Nonperiodic distributions from an employer's retirement plan, such as 401(k) or 403(b) plans, are subject to withholding for federal income tax at a flat rate of 20%. Nonperiodic distributions from an employer's plan include lump sum distributions, including distributions that may later be rolled over to another plan. 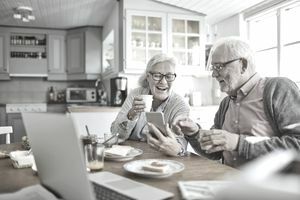 However, if the distribution is rolled over directly to another retirement plan in a trustee-to-trustee transfer, tax is not required to be withheld. Taxpayers may choose to have federal income tax withheld from their Social Security benefits. Federal income tax can be withheld at a rate of 7%, 10%, 15%, or 25%. Use Form W-4V to let the Social Security Administration know how much tax you would like to have withheld.